I read these two in between packing for a move, shopping and having my daughter home from college. 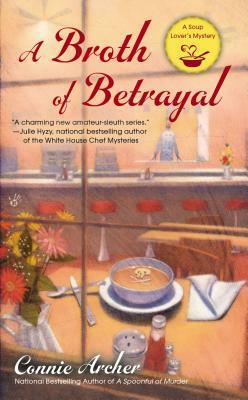 A Broth of Betrayal is the second in A Soup Lover’s Mystery series. I am really enjoying this series. The main character, Lucky, is charming and her grandfather, Jack, seems to have recovered nicely from his issues in the first book. The mystery plot was very well done, combining murder(s), assault and a kidnapping of the town mayor and Lucky’s good friend, Elizabeth. I really liked the plot in this outing of the series. Definitely, a series I will be continuing to follow. 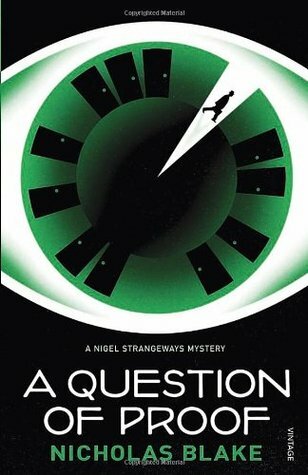 A Question of Proof by Nicholas Blake is the first book in the Nigel Strangeways series. This involved a very proper British boys school with all the backstabbing and machinations that can evolve in these close knit communities. A murder occurs and there is a multitude of suspects to consider, many who have good reasons for lying. I found this a little slow to start and slow reading with all the period slang and references. There was some humor and the sleuthing follows a logical approach to investigation. I found the ending flat, almost anti-climatic with everything that had been exposed throughout the story. I’m not sure that I will read any others in this series. Perhaps fans of very period specific mysteries will enjoy it. This entry was posted in Book Reviews and tagged book, mystery.